The skills that make great hardware aren't really the same skills that make great TV. 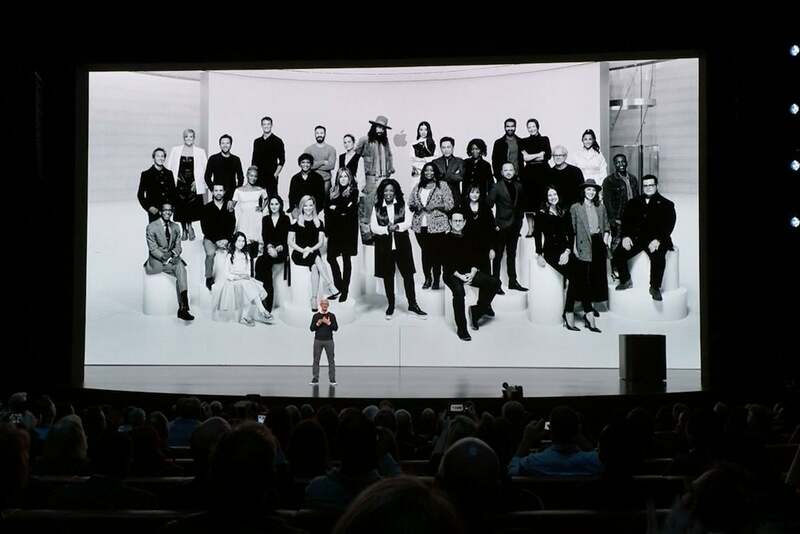 I’ve seen numerous celebrities in the audience at Apple events over the years, but Monday’s event at the Steve Jobs Theater was different. Captain America himself, Chris Evans, was in the audience. (I just missed him, but I think I spotted Tim Robbins talking to Apple’s Eddy Cue.) On stage were plenty of famous entertainment-industry faces, from directors like Steven Spielberg and J.J. Abrams to actors like Jennifer Aniston and Reese Witherspoon. Even Oprah was there. This was an Apple event unlike any other, and for many different reasons. There wasn't any new hardware or software to speak of, for one, and such a concept would’ve seemed impossible for Apple even a couple of years ago. Stranger still, the event was aimed as much at the entertainment industry as at the people who buy Apple’s products—but then, Apple waded into some pretty strange waters when it became a full-fledged movie and TV producer. For years Apple has rightly sold itself as a company that can provide unique value by combining hardware and software in a single package, but on Monday Apple CEO Tim Cook rolled services into that equation as well. We’re in an era where iPhone growth has flattened, and Apple has been talking for a few years now about moving its growth into services, an area it’s had limited experience with. We're already seeing good examples of how Apple can meld hardware, software, and services together in order to create something unique. Apple’s new credit card, for example, is a clever package deal that unites the Apple Pay hardware on iPhone and Apple Watch with banking services with some special iOS features. But where does this expertise cross over into making TV shows? That’s a tougher question. Apple can’t really use its expertise in hardware and software to make a better TV show, so it needs to rely on its production execs, Zack Van Amburg and Jamie Erlicht, to work with TV writers and producers to make those programs. And in that way it’s really no different than any other company that’s in the business of making filmed entertainment today. If you don't have the expertise yourself, hire the people that do. Some of the largest and most dynamic companies have deep technological roots these days, and the entertainment industry is in a massive transition forced upon it by products sold by some of those very same tech giants. Put these two factors together and is it any wonder that Amazon and Apple are now TV producers with buys in the billions? Netflix, a company that started as a fusion of a web app and a DVD delivery infrastructure, has ridden its technological prowess to a point where it’s as much an entertainment giant as a tech company. But while tech skills can theoretically help you design TV apps and streaming back-ends, the skills required to make great TV are different. Van Amburg and Erlicht may succeed or fail with Apple TV+, but that result will have less to do with Apple’s ability to sell iPhones than with Van Amburg and Erlicht’s skill as development executives. 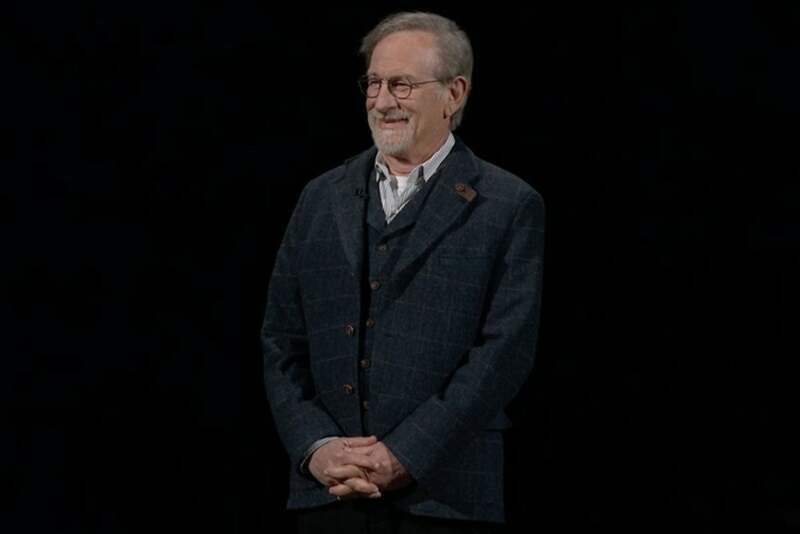 Spielberg seems happy, at least. There’s perhaps one exception: Apple does bring its brand along with it, and that can help inform the feel of the content Apple produces. Apple’s self-image, as seen through its commercials and promotional videos, is optimistic and bright and creative. The lengthy scripted portion of the Apple TV+ roll-out hit a lot of the same points, and while it’s safe to say that I never need to hear the word “storytelling” again, I think Apple was trying to establish an ethos and style for what an Apple TV+ show represents. So why roll out a TV service in March that won’t arrive until fall? There are two reasons, I think. First, Monday’s event lets Apple tell a much broader story about how it’s approaching services. It’s more effective to tell this story all at once rather than spreading it out across multiple events and press releases, especially when it’s likely to be eclipsed by whatever hardware or software revelations anchor the proceedings. At Apple's invitation, Wall Street is especially focused on Apple’s services revenue, and this event allowed Apple to show off a large chunk of its strategy, even if some of the items are as-yet incomplete. 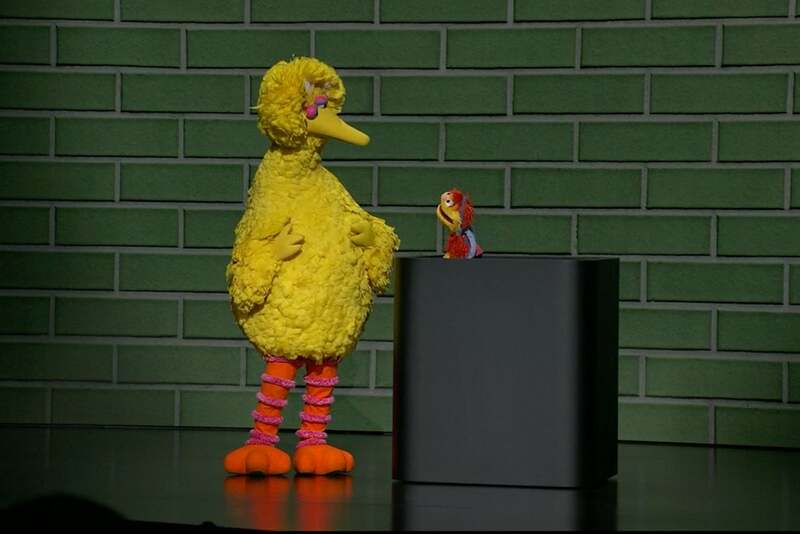 Big Bird may have been in town, but has Apple learned the ABCs of TV production? Another reason is, quite frankly, to get Hollywood to settle down a little bit. 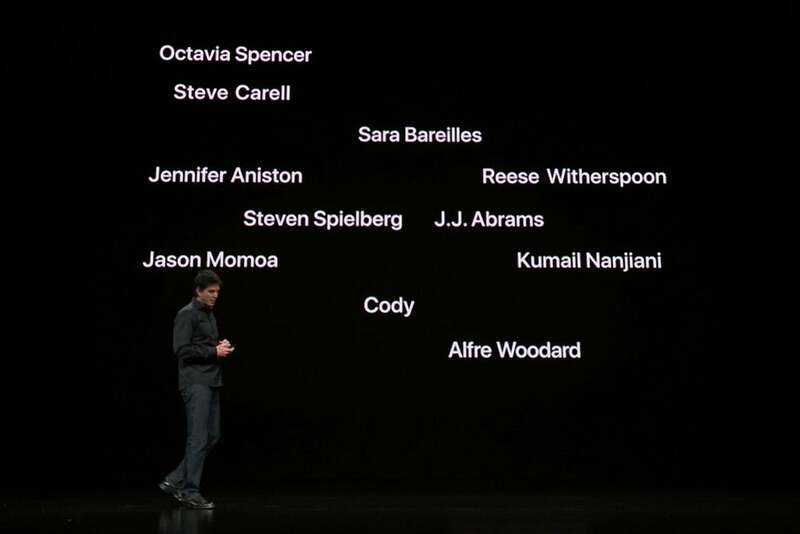 Apple is an extremely secretive company when it comes to product launches, and Hollywood doesn’t really work like that. Apple executives who are used to bits of its hardware plans leaking from its supply chain were probably taken aback by all of its Hollywood deals being reported immediately by The Hollywood Reporter, Variety, and Deadline. And recently, a series of negative stories have appeared in larger outlets, generally expressing frustration from creative types about a lack of clarity about Apple’s video plans. I’m sure that it’s no fun to spend a year working on a new TV project while not being able to talk about it or know anything about its final destination. And the fact is, the more frustrated Hollywood types get with Apple’s silence, the harder it is for Van Amburg and Erlicht to make deals. As of Monday, things are a lot clearer. The service has a name (though not a price), a launch date (at least vaguely), and a core of announced shows. Apple’s also now free to promote new series for Apple TV+ at will, rolling out sneak previews and trailers and the like, because the service is finally announced. So here's the big question that's been underlying this entire endeavor since the day Apple hired Van Amburg and Erlicht back in June 2017: Can Apple successfully compete as a video service? In its favor, the TV app comes preinstalled on a billion-ish devices. On the other hand, Apple is competing with an enormous (and growing) number of streaming services, including forthcoming major efforts from Disney and WarnerMedia. It looks like a party, but will everyone stick around? But the truth is, Apple’s video service won’t stand or fall through the efforts of the people developing the TV app or crafting a subscription strategy. The success or failure will largely be determined by those people on stage on Monday, and their producers in the audience. If the shows are good, Apple’s got a puncher’s chance of making it work. 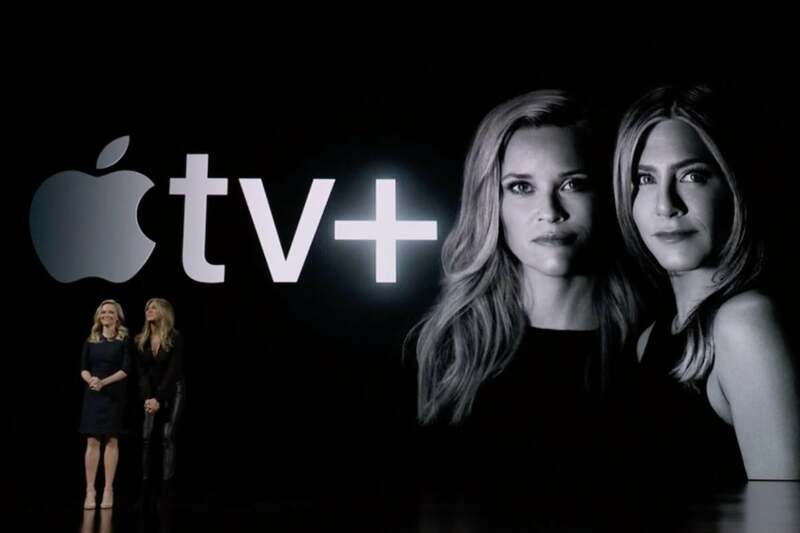 But no amount of Apple marketing power will make a collection of lousy TV shows a success. The proof will be on the screen. Apparently sometime this fall.